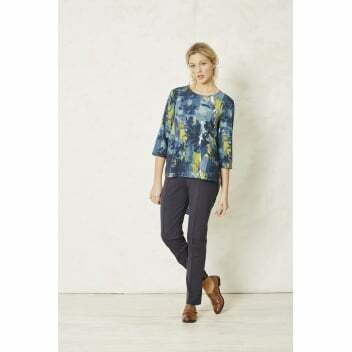 This fabulous top is contemporary and stylish. We love the split high low hemline and boxy shape. These combine to create a light, feminine and sleek silhouette. The pattern is gorgeous, floral shapes in muted tones of blues and green that put us in mind of an underwater garden.